APC Replacement Battery Cartridge #48 is designed by APC by Schneider Electric exclusively for APC UPSs for complete compatibility with the intelligent battery management system. 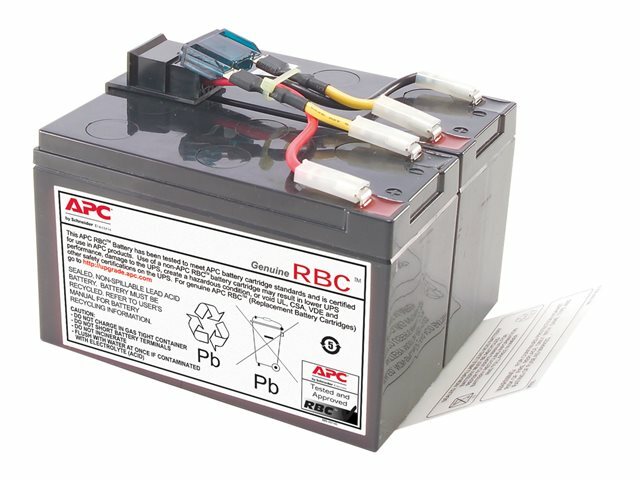 APC RBCs are safe, reliable and contain a minimum number of connections saving valuable time. Because APC RBCs are hot-swappable, no network downtime is required in order to install them. It ensures clean, uninterrupted power to protected equipment while batteries are being replaced.